A local music festival to celebrate the rich world of Sikh rhythm that began three years ago will be back in Kuala Lumpur on Oct 24. The main draw at the Bhai Mardana Sangeet Festival 2014 is QiRattan, a husband-wife kirtan team from the United Kingdom. “They have a kirtan development programme back in the UK. That’s one of our aims, as well, with the festival,” said Saheb Singh from the youth group Oh My Guru (OMG), the anchor organiser for the function. The main event will be held at the University Malaya Experimental Theatre, Kuala Lumpur, on Oct 24 (Friday) from 6.45pm to 11pm. The next day (Oct 25), there will be a 12-hour kirtan and sangeet marathon at the Wadda Gurdwara Sahib, Jalan Kampung Pandan, Kuala Lumpur, from 12noon to 12 midnight. 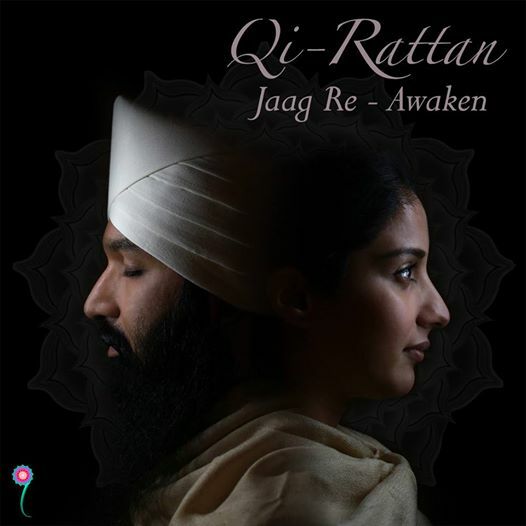 Qi-Rattan had recently released their first Gurbani kirtan album entitled Jaag Re- Awaken (see insert photo). In last year’s festival, the star attraction was Amrita Kaur from New Zealand. She is the daughter of Yadwinder Singh, a well-known Malaysian-born kirtani who now resides in New Zealand. In 2012, Arunageet Kaur from Bangkok, Thailand, took centerstage. Some of the performers at the festival will also be display their skill at handling a number of stringed instruments, including the rehab which was used by Bhai Mardana, the lifelong companion of Guru Nanak. For details, search for ‘ Bhai Mardana Sangeet Festival 2014’ on the Facebook. PHOTO ABOVE: Students from the Kuala Lumpur-based Guru Granth Sahib Music Academy at a practice session prior to the festival.